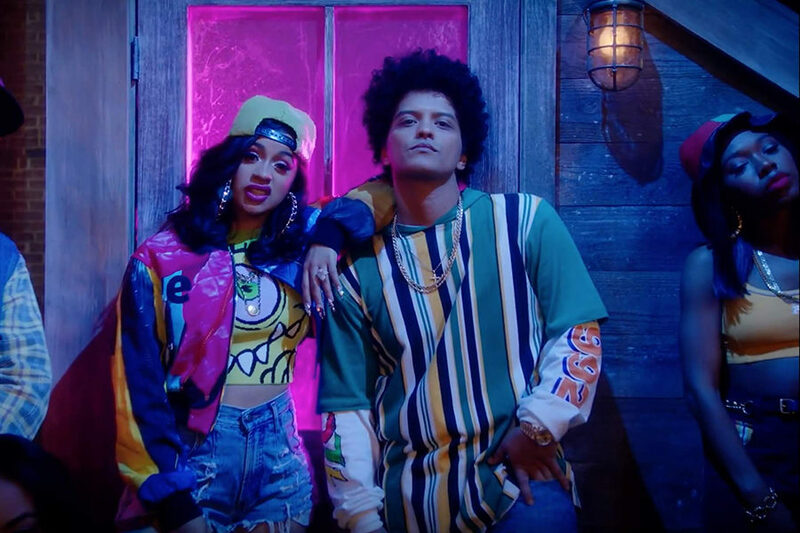 Cardi B and Bruno Mars pose in the video for their release "Finesse." The two recently collaborated again on another song, "Please Me." “Finesse” was released on Jan 4, 2018. The song has reached 572 million views on YouTube and hit No.1 on dance clubs songs chart, the song was their first catchy tune that hit off . The duo’s most recent success as partners, “Please me,” hit No. 9 on the Billboard Top 100. Click here to hear “Finesse” and view the music video.